Not many players from schools as small as Hardin-Simmons University were drafted in the early 1940s when scouting was still in its infancy, but as the story goes, two teams were pursuing Turner. The Lions thought he would turn down any other team so they didn't even draft him, but George Halas picked Turner in the first round and he went on to enjoy a Hall of Fame career. 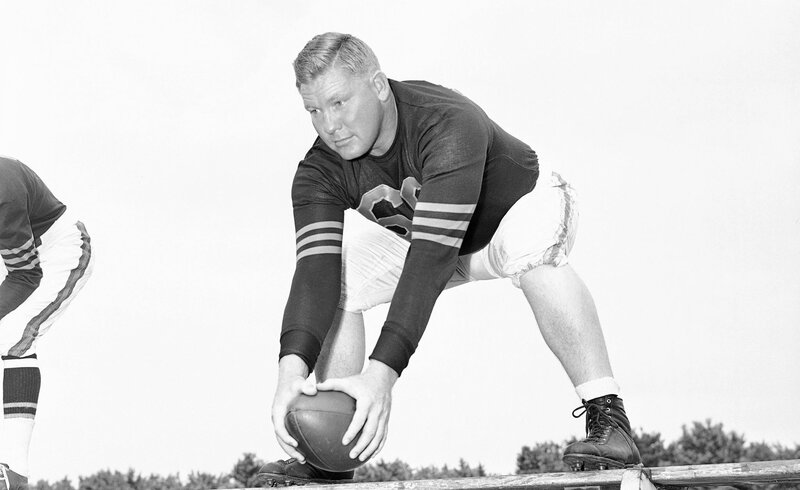 The center/linebacker played from 1940-52 and was a seven-time All-Pro and four-time league champion. He had four interceptions in five NFL title games.